If your basement is an afterthought, or a place to store the kids’ play gear, it may be time to reimagine your space. Basement areas, tucked away below the main floors, have the most potential for entertaining. 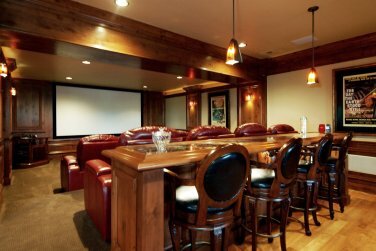 An open layout is the perfect backdrop for a home theater or media room integration. So forget the drive to the movie theater and the overpriced concessions. Now all you need to do is grab a blanket, pop the popcorn, take off your shoes, and settle in. You and your family can have the ultimate, immersive theater experience in the comfort of your own home. 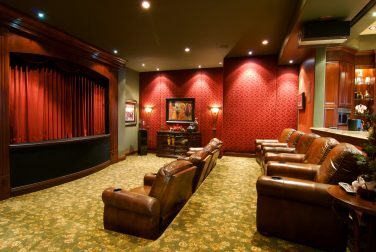 Before you get started, there are a few key things to consider before transforming your home theater into a room that captures the magic of “the real thing”. 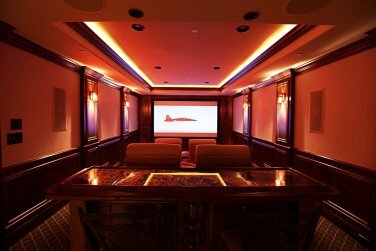 There are endless home theater customization options available; from chairs, to projectors, to speakers and lighting, you can craft your own one-of- a-kind viewing space. 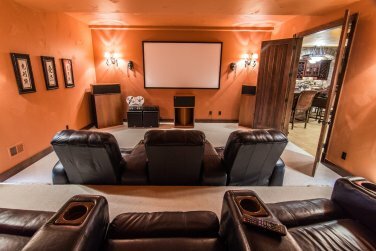 The result: a theater viewing experience designed to be your family’s dream basement hideaway and the perfect way to impress your friends. 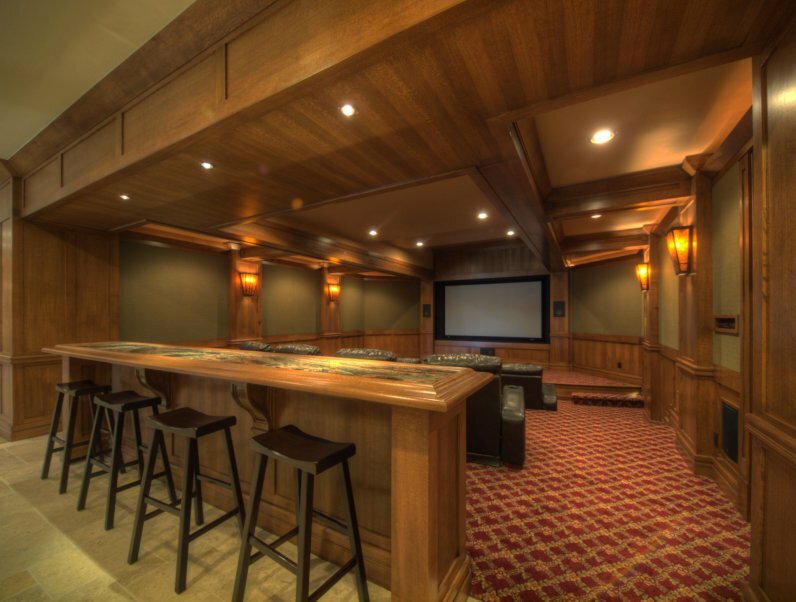 Read on for inspiration from some of our previous home theater projects, and contact us today with questions on how to turn your home’s basement into the ultimate cinematic getaway. 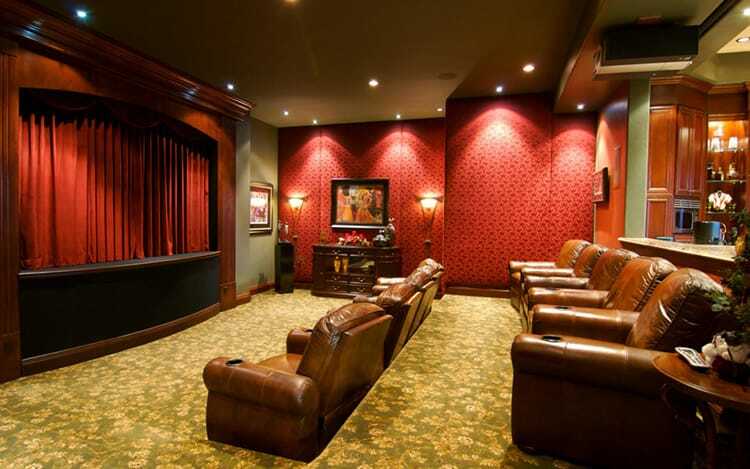 Theatrical: Red wallpaper and a red velvet curtain create an Old World Hollywood feel in this spacious theater room. Versatile: Sink into one of these plush red leather theater seats, or sit at the bar area with good snacks and great friends. Sleek: Overhead lighting and glossy wood finishes give this room an almost futuristic glow. Minimalist: No frills here, just a bright, personalized space to share your favorite film with a friend. Grandios: This massive space is equipped with it’s own red carpet, bar and stools, and massive theater chairs you’ll love sinking into.